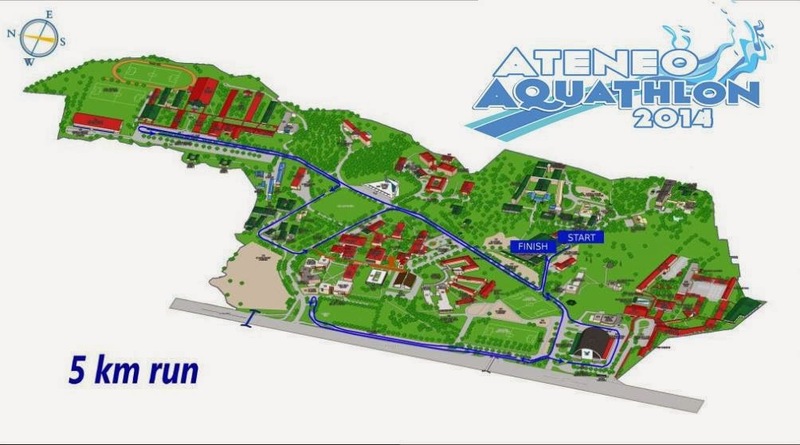 Ateneo Aquathlon is an annual event composed of swimming and running, organized by FAST (Fast Ateneo Swimming Team), Ateneo's elite swimming team. It's a great introduction to multi-sport as it offers short and varied distances which caters to kids and adults of varying endurance levels. 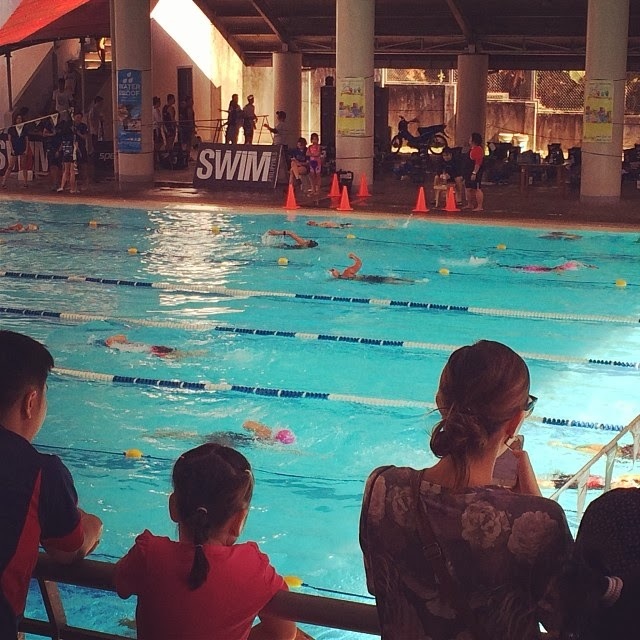 Other distances are the Relay: 600m Swim & 5km Run, Aquathlon Kids(12& Below): 400m Swim & 3km Run and Lite: 400m Swim & 3km Run. That's me on the 3rd lane from the top of the photo. :) My super supporter, lil sis took this shot. 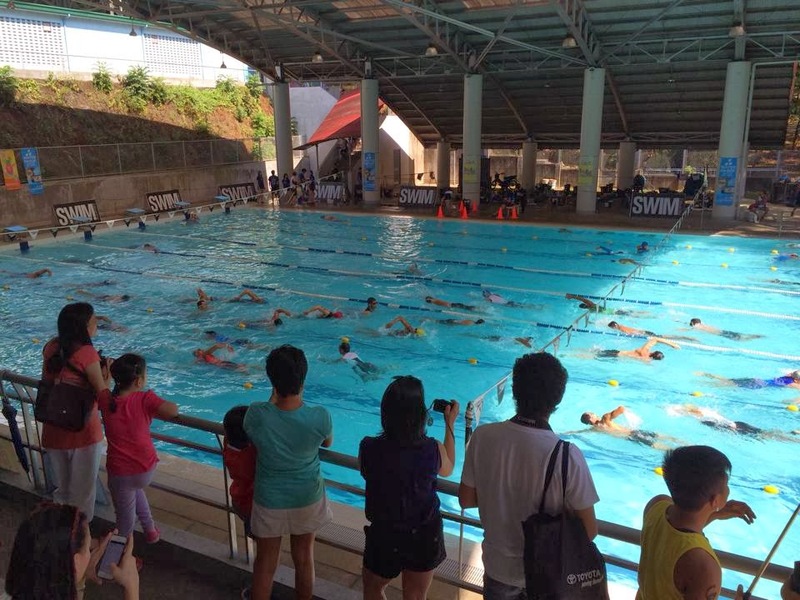 I joined the Classic Category (600 m swim and 5K run) at the age 30-35 division where 12 or more other ladies participated. At the holding area while waiting for our gun start, I glanced at the ladies that surrounded me, all looked quite fit with more than half wearing tri suits. While some looked like seasoned multi-sport participants, the atmosphere was fun and friendly. I was nervous but it was a good kind of nervous. Plus, I ran into friends (Don and Nel), met new friends, Joanna and Kim, who are from a triathlon team from Laguna. It was Kim's first multi-sport event while Joanna was coming back from a 5 year break from triathlon. Below's a raw footage of the first 5 minutes of the swim portion taken by my sister. After the gun start, I sprinted too fast the first few meters as water splashed everywhere, making it challenging to grab for air. I lost my composure too and as a result, struggled all throughout the swim part and thought about quitting after the first round. 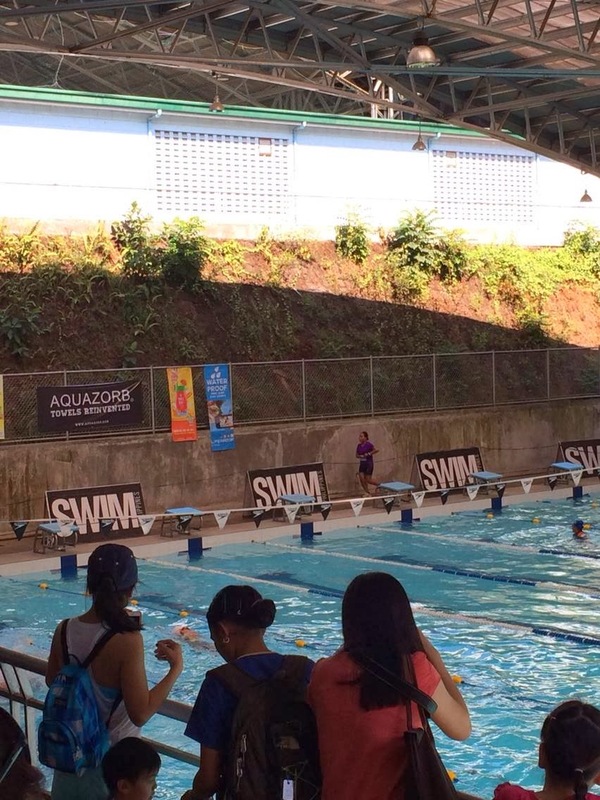 :P How I managed the next two rounds was all a blur to me (had to do 3 rounds as Ateneo's pool is only 25m long). My lungs were burning! I finished the swim route in 20:16 minutes. It's an average finish yet I'm glad I was able to complete it, considering I planned on quitting early, haha!Whew! 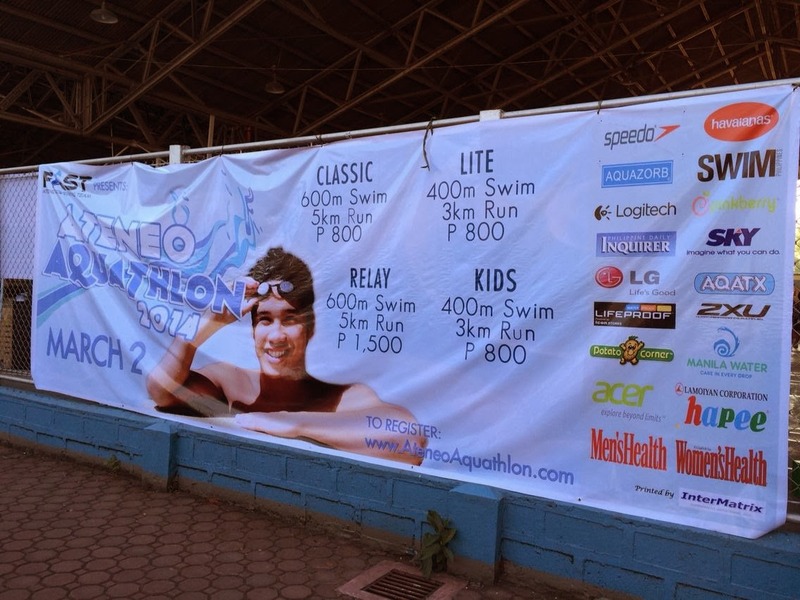 Official race results are now uploaded at the Ateneo Aquathlon website. (Tips if joining next year): familiarize yourself with the 1st kilometer as it can get confusing on the intersection leading to the back of the gym. Also, put water or an energy drink at the transition area in case you need to get a quick drink, this was helpful for a first-timer like me). Lastly, to my family and friends, thank you for your moral support! :) Mwah.